Kids can be a breeding ground for germs and when they're at school, they're likely to come into contact with even more bugs. Read about how to keep your kids healthy and safe during the school year. Increasing how often you walk your kids to school, even just a bit, makes a huge difference. Some experts say protecting kids against stress is doing more harm than good. 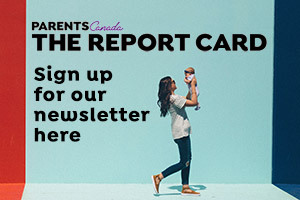 Janice Biehn, editor of ParentsCanada magazine, talks about what you need to know to feel safe letting your child walk alone to and from school. Ill-fitting backpacks can cause backache and neck and shoulder pain. Should schools ban food allergens besides peanuts? Back-to-school jitters: shyness or anxiety? Going back to school is exciting for many tweens, but for others, just thinking about school can trigger social anxiety. When kids with allergies hit high school, they're on their own. Help your child manage the weight of school supplies with a properly fitting backpack.